Happy New Year 2017 from the directors, staff, and board of the Cambridge Writers’ Workshop! We hope you’re all as excited for 2017 as we are! We’re planning a delightful, productive year for our writers and artists with plenty of opportunities to travel, write, practice yoga, and network, and we’re looking forward to seeing you at our retreats, workshops, readings, and literary fest events in 2017! The Cambridge Writers’ Workshop had a wonderful year in 2016. Over the last twelve months, we’ve had a chance to hold retreats and readings across America and the world, meet exciting writers and artists, and have found new ways to inspire our own writing. Our year began with the 2016 Association of Writers and Writing Programs Conference in Los Angeles, California. At AWP 2016, we got a chance to promote CREDO: An Anthology of Manifestos & Sourcebook for Creative Writing, advertise our new literary internships, and discuss our Summer Writing Retreats in Granada, Spain, Barcelona, Spain, and Narbonne, France, as well as our Spring Writing Retreat in Newport, Rhode Island. We also hosted our third AWP event at Sabor y Cultura. At our event, there were featured readings from authors such as Rita Banerjee, Jess Burnquist, Julialicia Case, Ariana Kelly, Gwen E. Kirby, Katie Knoll, Ellaraine Lockie, Ondrej Pazdirek, Heather Aimee O’Neill, Brenda Peynado, Esther Pfaff, Jessica Piazza, Jonathan Shapiro, Emily Skaja, and Emily Smith. After AWP 2016, we were off to our second annual Spring Writing Retreat in Newport, Rhode Island. We were joined by award-winning and internationally-renowned authors such as Jade Sylvan, Diana Norma Szokolyai, and CWW yoga instructor Elissa Lewis. The event was a chance for writers to spend a long weekend in historic Newport and near the beach, participating in writing workshops (such as Sylvan’s workshops on “writing yourself naked”) and craft of writing seminars, yoga classes, and cultural tours of the historic Newport village. We live blogged the entire event as well, sharing dozens of photos from our trip while also allowing our writers to share their thoughts on the experience. During the summer we hosted our Summer in Granada and Summer in Barcelona and Narbonne Writing Retreats. In Barcelona and Narbonne, we explored the cities and all of their historical, literary, and romantic charm. The retreat included craft of writing seminars and creative writing workshops, literary tours of the cities, and one-on-one manuscript consultations. We were also joined by writer and professor Bret Anthony Johnston and literary editor Heidi Pitlor. CWW directors Rita Banerjee and Diana Norma Szokolyai taught workshops on spacial poetics and world building, and also led workshops for participants to share their work and use the Liz Lerman method for critiquing writing. We live blogged our retreat on our website, so be sure to check out the sights and classes from our trip. We were really happy to experience this with all of our participants, who traveled from all over to come write and explore these cities with us. In Granada, wrote in the city’s winding streets, absorbed its Moorish history, and were inspired by its evocative landscapes. The retreat included craft of writing seminars and writing workshops and yoga classes. We were joined by novelist Alexander Chee and poet and activist Frederick-Douglas Knowles II, who taught classes on historical fiction and hip-hop and poetry, respectively. Rita Banerjee led workshops on narrative stakes and emotion and suspense. We also live blogged this trip, so you can see all the exciting things we did on this trip. We also hosted creative writing workshops and craft of writing seminars at The Cambridge Center for Adult Education throughout the fall. In addition to Rita Banerjee and Diana Norma Szokolyai, we were joined by Jade Sylvan and Cambridge writer Laura van den Berg for creative writing workshops and craft of writing seminars every other weekend in Cambridge, MA. This is something we hope to repeat this year, and we hope we can bring in new faculty and participants as well. We hosted a Brooklyn Bookend Reading at Molasses Books during The Brooklyn Book Festival. Some of the writers had emerged onto the literary scene with a bang, while others had recently published their first or second books, and had received prestigious awards in the past. The event featured Stephen Aubrey, Rita Banerjee, Madeleine Barnes, Ellaraine Lockie, Ben Pease, Anne Malin Ringwalt, Kate McMahon, Emily Smith, Bianca Stone, and Diana Norma Szokolyai, along with a beautiful interludes of music from accomplished songwriters Erica Buettner and Elizabeth Devlin. We also hosted a literary crawl event during Lit Crawl NYC 2016. Our Literary Vaudeville event featured performances and readings from Rita Banerjee, Diana Norma Szokolyai, Megan Fernandes, Claire Ince, Emily Smith, Christina M. Rau, and Frederick-Douglass Knowles II. In 2016, we welcomed our second round of interns to the Cambridge Writers’ Workshop, and these interns include the wonderful AM Ringwalt, Anna-Celestrya Carr, Erynn Porter, and Shannon Sawyer, all of whom have helped the CWW greatly this year. They’ve helped manage our social media and written up posts about our events, shown their talent for graphic design, grant writing, audio/visual media development and corresponding with writers and hosts in French, Spanish, and English, and have provided much valuable assistance on our retreats and literary events this year. We’re excited to have, on our team, and we can’t wait to show you what they’ve helped us plan for 2016! While 2016 proved to be a very exciting year for all of us, our staff is quite ready to move on to our next round of exciting events. The CWW will once again table at AWP in Washington DC from February 8-February 10, 2017, and will be announcing our AWP Reading in downtown Los Angeles shortly! The Cambridge Writers’ Workshop Spring in New Orleans Writing Retreat will take place from March 23-26, 2017, and will coincide with the Tennessee Williams Literary Festival. Known for its Spanish and French architecture, live jazz, cajun food, and street festivals, New Orleans offers an inspirational and one-of-a-kind environment for creative writers. During the retreat, we will be staying in the lovely Algiers Point neighborhood, just a short ferry ride away from the Historic French Quarter. Our retreat features multi-genre workshops, as well as craft seminars and time to write. 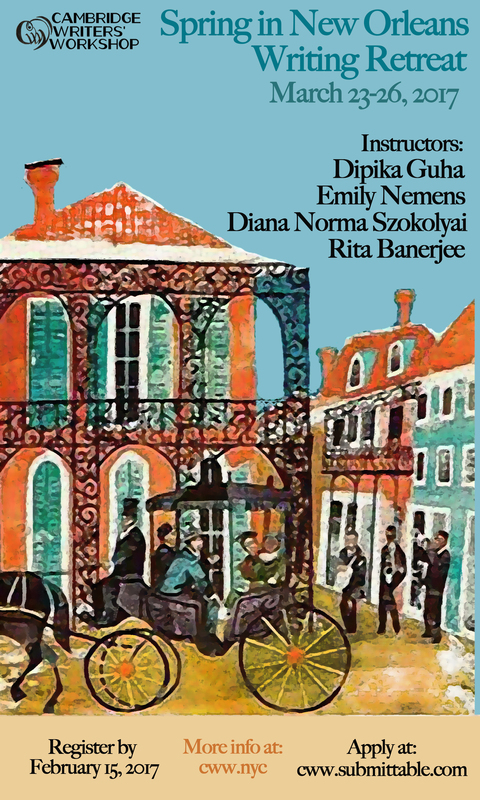 The faculty includes award-winning writers Dipika Guha, Emily Nemens, Rita Banerjee, and Diana Norma Szokolyai. Genres include playwriting, nonfiction, fiction, and poetry. 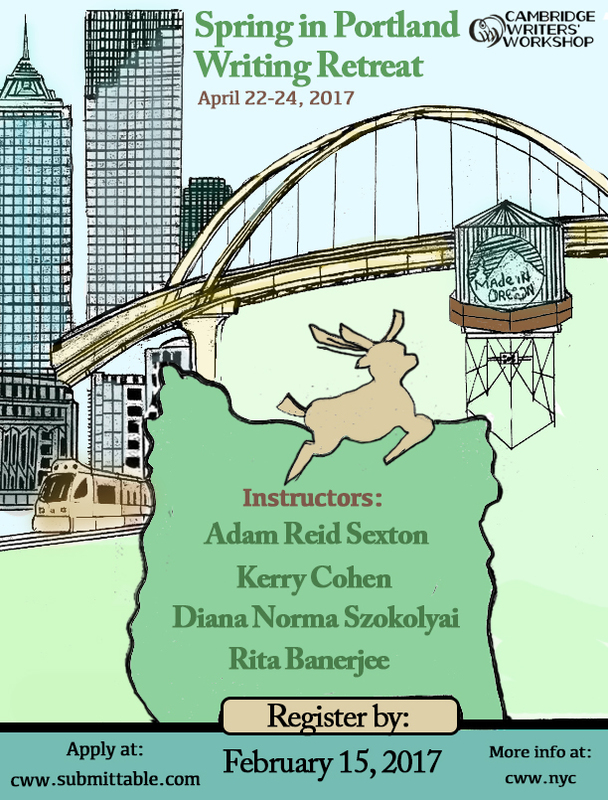 The Cambridge Writers’ Workshop Spring in Portland Writing Retreat will take place from April 22-24, 2017. While you’re in the home of writers Cheryl Strayed and Ursula K. Le Guin, feel free to go bicycling and explore the terrain, hike, or relax at local cafes for people watching—no matter how you choose to spend your time, this city is full inspiration. We will be staying in the Alberta Arts District during the retreat, an area that is sure to inspire our participants and help them create. The retreat offers multi-genre workshops, as well as craft seminars and time to write. The faculty includes award-winning writers Adam Reid Sexton, Kerry Cohen, Rita Banerjee, and Diana Norma Szokolyai. Genres include fiction, nonfiction, and poetry. 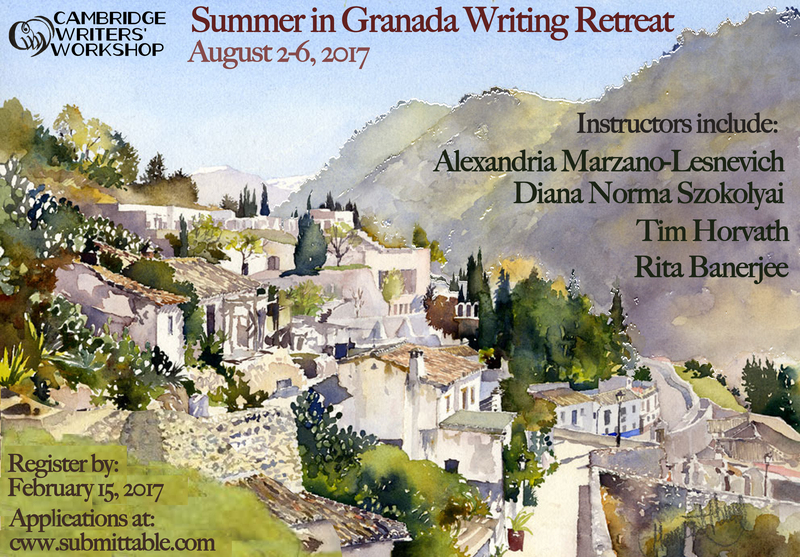 And the Cambridge Writers’ Workshop Summer in Granada Writing Retreat will take place from August 2-6, 2017. Located at the foot of the Sierra Nevada mountains in Andalucía, Granada is one of the gems of Spain and has inspired writers from Washington Irving to Salman Rushdie to Ali Smith. Let the old city stimulate your writing with its winding streets, Moorish history, and evocative landscapes. Work on your existing manuscript, or look to the beauty and warmth of Granada to inspire all-new projects. During the retreat, we will be staying at the Hotel Guadalupe, just a short walk from the Alhambra. The retreat offers multi-genre workshops, as well as craft seminars and time to write. The faculty includes award-winning writers Tim Horvath, Alexandria Marzano-Lesnevich, Rita Banerjee, and Diana Norma Szokolyai. Genres include fiction, nonfiction, and poetry. We hope you are all as excited for our 2017 events as we are. If you have any questions we may not have answered, you can email us at info@cambridgewritersworkshop.org, and for inquiries, please email the CWW Directors, Rita Banerjee and Diana Norma Szokolyai, at directors@cambridgewritersworkshop.org. You can also follow us on Facebook, Tumblr, and Twitter for more information and updates on any of these events. We look forward to making 2017 a year full of creativity, writing, and renewal, so join us as we make 2017 rock! “HOME/SICK” – a play by CWW Instructor Stephen Aubrey & the Assembly debuts in Los Angeles tonight! “HOME/SICK” is the story of a handful of political activists and leaders from the 1960s student movement who seized control of Students for a Democratic Society in protest to the Vietnam War and the government’s repression of those seeking equality domestically. In doing so, these activists reshaped the society in the name of overthrowing the United States government. Believing violence to be the only means to transform American politics and society, these passionate idealists accelerated a movement to a revolutionary fervor, but left a country behind. Tickets for the play are available now at the Odyessey Theatre in Los Angeles. Cambridge Writers’ Workshop at AWP 2016 Recap! A poet tweets with us! TCL Chinese Theater on Hollywood Blvd. Eat me, I am the beginning of everything. A cartesian circle of regret. Beware, what you see may only be a fringe of time. knowing they were made of more than the tinkering of macaroni on the ground. eternally bound by the falls of their feet. yet feeling trapped from the blanketed sky. No one asks who helped me harvest them. Our staff for the event included CWW Creative Director Rita Banerjee and Managing Editorial & Communications Intern Emily Smith, who helped set the booth up and networked with various publishers and presses. Friends of the CWW and readers at our official AWP off-site reading were also present at our table. On April 1, the CWW headed over to Sabor y Cultura for our scheduled reading. The event featured fifteen readers: Rita Banerjee, Emily Smith, Jess Burnquist, Julialicia Case, Ariana Kelly, Gwen E. Kirby, Katie Knoll, Ellaraine Lockie, Ondrej Pazdirek, Heather Aimee O’Neill, Brenda Peynado, Esther Pfaff, Jessica Piazza, Jonathan Shapiro, and Emily Skaja. The three hour reading featured a great mix of poetry, short fiction, essay, and book excerpts. We had a great time at AWP, and we can’t wait to see you next year at AWP 2017 in Washington D.C.! The Cambridge Writers’ Workshop was recently featured in VIDA: Women in the Literary Arts’ article In and Around 2016 AWP in Los Angeles. The article lists events during AWP from VIDA friends and other events that help support women in the arts. Listed in this article is our reading at Sabor y Cultura on Friday, April 1st from 4 pm- 7 pm. The event features fifteen readers from all over the world, including Rita Banerjee, Jess Burnquist, Julialicia Case, Ariana Kelly, Gwen E. Kirby, Katie Knoll, Ellaraine Lockie, Ondrej Pazdirek, Heather Aimee O’Neill, Brenda Peynado, Esther Pfaff, Jessica Piazza, Jonathan Shapiro, Emily Skaja, and Emily Smith. The Cambridge Writers’ Workshop will be Table 1157 from March 31st-April 2nd. Come to our table to learn about our upcoming writing retreats in Newport, Rhode Island (April 22-25, 2016) , Barcelona & the South of France (July 18-26, 2016), and Granada, Spain (July 28-August 5, 2016). We’ll also have information on our internships and our CREDO Anthology, as well as some other goodies at our table. We’ll also be tweeting our AWP experience @CamWritersWkshp, so be sure to check that out during the week. We can’t wait to see you all there this week! The Cambridge Writers’ Workshop is coming to Los Angeles for the AWP Conference (March 30 – April 2, 2016)! Last year’s AWP was a success with our bookfair table and reading at Boneshaker Books. This year, you’ll be able to find us at Table 1157 and find information regarding our upcoming Spring in Newport, Rhode Island (April 22-25, 2016) , Summer in Narbonne & Barcelona (July 18-26, 2016), and Summer in Granada, Spain (July 28-August 5, 2016) Writing Retreats. 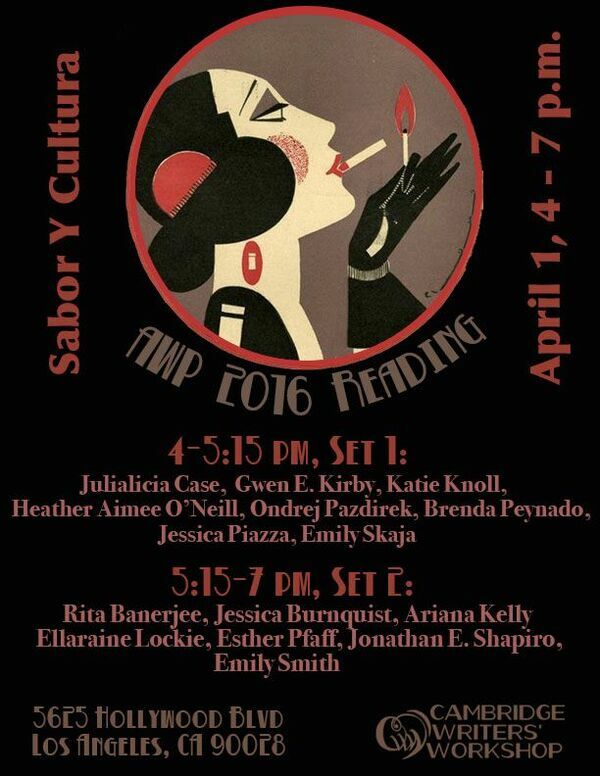 We’ll also be hosting our AWP Reading at Sabor y Cultura (located at 5625 Hollywood Blvd, Los Angeles, CA 90028) on Friday, April 1, 2016 from 4-7 pm. Featured Readers include Rita Banerjee, Jess Burnquist, Julialicia Case, Ariana Kelly, Gwen E. Kirby, Katie Knoll, Ellaraine Lockie, Ondrej Pazdirek, Heather Aimee O’Neill, Brenda Peynado, Esther Pfaff, Jessica Piazza, Jonathan Shapiro, Emily Skaja, and Emily Smith. Rita Banerjee received her doctorate in Comparative Literature from Harvard and her MFA in Creative Writing from the University of Washington. Her writing has been published or is forthcoming in the Los Angeles Review of Books, Electric Literature, VIDA: Women in Literary Arts, AWP WC&C Quarterly, Queen Mob’s Tea House, Riot Grrrl Magazine, Poets for Living Waters, The Monarch Review, The Fiction Project, Quail Bell Magazine, Jaggery, Catamaran, The Crab Creek Review, The Dudley Review, Objet d’Art, Amethyst Arsenic, Vox Populi, Dr. Hurley’s Snake-Oil Cure, Chrysanthemum, and on KBOO Radio’s APA Compass in Portland, Oregon. Her first collection of poems, Cracklers at Night, was published by Finishing Line Press and received First Honorable Mention for Best Poetry Book of 2011-2012 at the Los Angeles Book Festival, and her novella, A Night with Kali, is forthcoming from Spider Road Press in 2016. Creative Director of the Cambridge Writers’ Workshop, she is currently working on a novel and a book of lyric essays. Jess Burnquist was raised in Tempe, Arizona. She received her MFA in Creative Writing from Arizona State University. Her work has appeared in Salon, GOOD Magazine, The Washington Post, Time.com, NPR.org, Jezebel, Persona, Education Week, Good Housekeeping and various online and print journals. She is a recipient of the Joan Frazier Memorial Award for the Arts at ASU. Jess currently teaches high school in San Tan Valley, and has been honored with a Sylvan Silver Apple Award. She resides in the greater Phoenix metropolitan area with her husband, son, daughter and three-legged dog, Skipper. Julialicia Case’s fiction and creative nonfiction have appeared in Crazyhorse, Willow Springs, Witness, Water-Stone Review, The Pinch, Quarterly West, Confrontation, and other journals. She has received a Fulbright Fellowship to Germany, a University of New Orleans Writing Award for Study Abroad, and a Tennessee Williams Scholarship to the Sewanee Writers’ Conference. She graduated from the master’s program in creative writing at the University of California, Davis, and is currently studying in the PhD program in fiction at the University of Cincinnati. Ariana Kelly earned a B.A. in Literature from Yale University and an M.F.A. in poetry from the University of Washington. In September of 2015 Bloomsbury published her first book Phone Booth, a cultural history of phone booths and communication, as part of their Object Lessons series. She has essays, poems and reviews out or forthcoming from The Atlantic, Salon, LA Review of Books, The Awl, The Toast, The Bellingham Review, Salt Hill, and Poetry Northwest, among many other journals. She is currently working on a couple of books, one a collection of essays dealing with health, place and subjectivity, and another about running. Additionally, she is working on a series of erasure poems based on the Wallpaper travel guides published by Phaidon. Gwen E. Kirby is a native San Diegian. She left her sunny home state to get her BA at Carleton College in Northfield, Minnesota. She holds an MFA from Johns Hopkins University and is currently pursuing her PhD in creative writing at the University of Cincinnati. Her stories appear in Southwest Review, Ninth Letter, and Midwestern Gothic and have been finalists for the Zoetrope: All Story, Indiana Review, and Narrative fiction competitions. She is a staff member at the Sewanee Writers’ and Sewanee Young Writers’ Conferences. Katie Knoll received a BA from Florida State University and is currently a MA student of fiction at the University of Cincinnati. Her work has appeared or is forthcoming in Narrative, Nimrod, Rattle, Baltimore Review, and Exit 7, among others. Her poetry and prose have been featured as one of Narrative’s 2013 Top 5 Stories of the Year and awarded the George M. Harper Prize for fiction and the Jean Chimsky Poetry Prize. Ellaraine Lockie is a widely published and awarded author of poetry, nonfiction books and essays. Her chapbook, Where the Meadowlark Sings, won the 2014 Encircle Publication’s Chapbook Contest. Her newest collection, Love Me Tender in Midlife, has been released as an internal chapbook, in IDES from Silver Birch Press. Other recent work has received the Women’s National Book Association’s Poetry Prize, Best Individual Collection from Purple Patch magazine in England for Stroking David’s Leg, the San Gabriel Poetry Festival Chapbook Contest win for Red for the Funeral and The Aurorean’s Chapbook Spring Pick for Wild as in Familiar. Ellaraine teaches poetry workshops and serves as Poetry Editor for the lifestyles magazine, Lilipoh. She is currently judging the Tom Howard/Margaret Reid Poetry Contests for Winning Writers. Ondrej Pazdirek grew up in Prague, Czech Republic and moved to the U.S. at the age of 17. He holds a B.A. degree in English from Florida State University and is currently in his last semester as an M.A. in Poetry at the University of Cincinnati. He is the recipient of the John McKay Shaw Academy of American Poets Award for 2013. He spent the last summer back in Prague as a Taft Graduate Summer Fellow, completing his first book-length manuscript, which is currently undergoing revisions. Ondrej also translates from Czech into English and his translations of Kamil Bouška have recently been published in B O D Y. His own poems have appeared in Bayou Magazine, Radar Poetry and Euphony, among others. Heather Aimee O’Neill teaches creative writing at CUNY Hunter College and the Sackett Street Writers’ Workshop. Her most recent collection of poetry, Obliterations, is co-authored with Jessica Piazza and forthcoming by Red Hen Press. A Lambda Literary Poetry Fellow, her poetry chapbook, Memory Future, won the University of Southern California’s Gold Line Press Award, chosen by judge Carol Muske-Dukes, Poet Laureate of California. Her work has been shortlisted for the Pirate’s Alley Faulkner-Wisdom Award and has appeared in numerous literary journals. She is a freelance writer for publications such as Time Out New York, Parents Magazine and Salon.com. She lives in Brooklyn, NY, with her partner and two sons. Brenda Peynado’s stories have been selected for the O. Henry Prize Stories 2015 and received prizes from the Chicago Tribune’s Nelson Algren Award, Writers at Work, and the Glimmer Train Fiction Open Contest. Her work appears or is forthcoming in The Threepenny Review, Epoch, Shenandoah, Mid-American Review, Black Warrior Review, Pleiades, Colorado Review, Cimarron Review, and others. She received her MFA from Florida State University and is currently a PhD student at the University of Cincinnati. Esther Pfaff is a Munich based fiction-writer focusing on contemporary stories on personal development and family psychology. Her current projects involve a short story collection and a novel. In daily life, she divides her time between her job as an IP lawyer and her home-based writing studio. Esther is a member of the Cambridge Writers Workshop since 2015 and was a student at a Master Class by Julia Cho, Hedgebrook (Seattle) December 5 to 14, 2015. Jessica Piazza is the author of the award-winning poetry collection Interrobang (Red Hen Press) and the chapbook This is not a sky (Black Lawrence Press). Her third collection, Obliterations (co-written with Heather Aimee O’Neill), is forthcoming from Red Hen Press. Jessica curates the Poetry Has Value blog, where she and others explore the intersection of poetry, money and worth. Born and raised in Brooklyn, New York, she holds a Ph.D. in English Literature and Creative Writing from the University of Southern California, where she teaches Writing & Rhetoric. She co-founded Bat City Review in Austin, TX, Gold Line Press in Los Angeles, CA and is currently the poetry editor for the Southern Pacific Review. Learn more at www.poetryhasvalue.com, or follow her on Twitter @JessWins. Jonathan Shapiro received MFAs from Sarah Lawrence College and the University of Washington where he was a Klepser fellow. His poems have appeared in Crab Creek Review, Sow’s Ear, Cranky, Erg, The Laurel Review, The Seattle Review, and more. Jonathan’s manuscript was a finalist in the John Ciardi Poetry Prize for first books. and Purdue University (MFA). During her MFA, she was the Poetry Co-Editor of Sycamore Review. Emily’s poems have been published by or are forthcoming from Best New Poets 2015, Blackbird, Black Warrior Review, Devil’s Lake, Gulf Coast, Indiana Review, The Journal, jubilat, Linebreak, Mid-American Review, Ninth Letter, PANK, The Pinch, Pleiades, Poets.org, Southern Indiana Review, and Vinyl. Emily was the winner of the 2015 Gulf Coast Poetry Prize for her poem “My History As.” Her poems have been shortlisted for the Indiana Review Poetry Prize, the BoothPoetry Prize, the Sonora Review Poetry Prize, and the Black Warrior Review Poetry Contest, for which her work was selected as the runner-up. In 2015, Emily was the winner of The Russell Prize for emerging poets, an Academy of American Poets College Prize, and an AWP Intro Award. In the summer of 2015, Emily taught classes in poetry at the Martha’s Vineyard Institute for Creative Writing. Currently, she lives in Ohio, where she is a PhD student in Creative Writing with an emphasis in Poetry at the University of Cincinnati. Emily Smith is a Managing Editing and Communications Intern for the Cambridge Writers’ Workshop. Originally from Sarasota, Florida, she currently attends school at the New Hampshire Institute of Art where she studies Creative Writing and Art History. She writes for The Ploughshares Blog, Opposing Views, Highbrow Magazine. Her poetry has been published in Walleyed Press, Essence Poetry, and Ayris. If you are driving to the event from the Los Angeles Convention Center, you can access Sabor y Cultura by taking US-101 N to N Wilton Place. From there, take exit 8A from US-101 N. Then continue onto N Wilton Place and drive to Hollywood Boulevard. Or, you can take Georgia St to W Olympic Boulevard. Then follow W Olympic Blvd, S Alvarado St and US-101 N to Hollywood Blvd. If you are planning on taking public transportation, you can access Sabor Y Cultura by walking approximately four minutes from the convention center to the PicoStation where you will take the Metro Blue Line (801) two stops to 7th Street / Metro CenterStation. From the 7th Street / Metro Center Station, walk approximately one minute to the Metro Red Line (802). Take the Metro Red Line (802) heading towards North Hollywood Station ten stops to the Hollywood/Western Station. From there, it is a four minute walk via Hollywood Boulevard to Sabor Y Cultura. 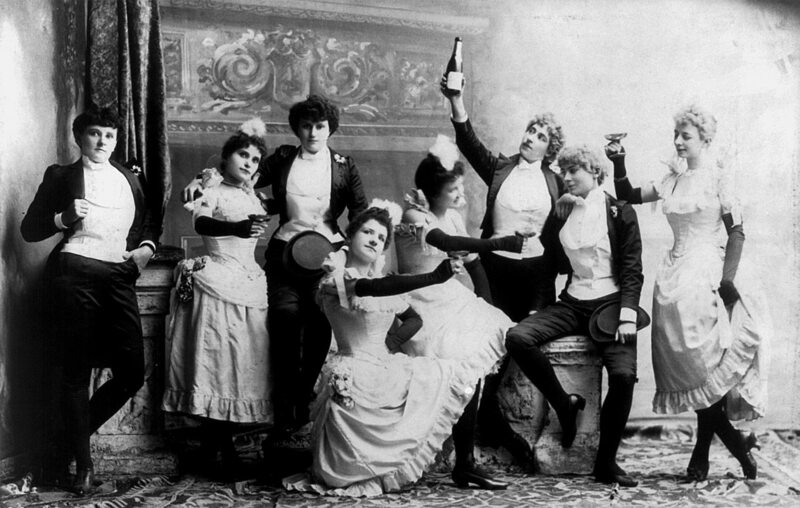 Happy New Year 2016 from the directors, staff, and board of the Cambridge Writers’ Workshop! 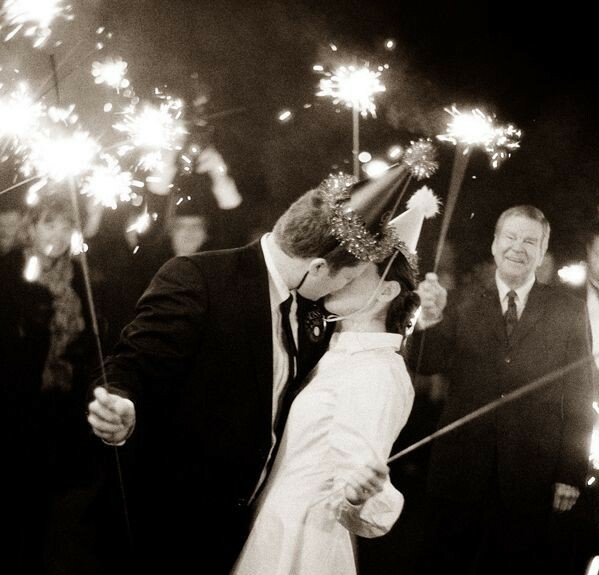 We hope you’re all as excited for 2016 as we are! We’re planning a delightful, productive year for our writers and artists with plenty of opportunities to travel, write, practice yoga, and network, and we’re looking forward to seeing you at our retreats, workshops, readings, and literary fest events in 2016! The Cambridge Writers’ Workshop had a wonderful year in 2015. Over the last twelve months, we’ve had a chance to hold retreats and readings across America and the world, meet exciting writers, yoga practicioneers, and artists, and have found new ways to inspire our own writing. Our year began with the Brooklyn Yoga, Aromatherapy, & Writing Workshop. We restored our minds with invigorating yoga, learned about Essential Oils, and inspired out writing. In February, we joined the 2015 Association of Writers and Writing Programs Conference in Minneapolis, Minnesota. At AWP 2015, we got a chance to promote CREDO: An Anthology of Manifestos & Sourcebook for Creative Writing, advertise our new literary internships, and discuss our Summer Writing Retreats in Granada, Spain and Paris, France, as well as our Spring Writing Retreat in Newport, Rhode Island. We also hosted our second AWP event at Boneshaker Books. At our Books & Bones event, there were featured readings from authors such as Alex Carrigan, Jonah Kruvant, Dena Rash Guzman, Leah Umansky, Anca Szilagyi, Micah Dean Hicks, Michele Nereim, Bianca Stone, Jessica Piazza, Jess Burnquist, Sheila McMullin, and Brenda Peynado. After AWP 2015, we were off to our first annual Spring Writing Retreat in Newport, Rhode Island. We were joined by award-winning and internationally-renowned authors such as Kathleen Spivack and Stephen Aubrey, in addition to CWW directors Rita Banerjee and Diana Norma Szokolyai, and CWW yoga instructor Elissa Lewis. The event was a chance for writers to spend a long weekend in historic Newport and near the beach, participating in writing workshops (such as Aubrey’s workshops on theater and Spivack’s workshops on developing manuscripts) and craft of writing seminars, yoga classes, and cultural tours of the historic Newport village. We liveblogged the entire event as well, sharing dozens of photos from our trip while also allowing our writers to share their thoughts on the experience. During the summer we hosted our Summer in Granada and Summer in Paris Writing Retreats. In Paris, we explored the city and all of its historical, literary, and romantic charm. The retreat included craft of writing seminars and creative writing workshops, literary tours of Paris, daily yoga and meditation classes, and one-on-one manuscript consultations. We were also joined by Guggenheim Fellowship recipient and New York Times bestselling author David Shields, who taught workshops about collage, appropriation, and collaboration. CWW directors Rita Banerjee and Diana Norma Szokolyai taught workshops on stakes and building character, and also led workshops for participants to share their work and use the Liz Lerman method for critiquing writing. We live blogged our Paris retreat on our website, so feel free to check it out and see our workshops, as well as our excursions to Shakespeare and Company, Versailles and Au Chat Noir. We were really happy to experience this with all of our participants, who traveled from all over the U.S, as well as England and Australia, to come write and explore Paris with us. In Granada, wrote in the city’s winding streets, absorbed its Moorish history, and were inspired by its evocative landscapes. The retreat included craft of writing seminars and writing workshops and yoga classes. We were joined by Guggenheim Fellowship recipient and Pushcart Prize winner Peter Orner, who led a workshop on Spanish literature. Diana Norma Szokolyai led workshops on voice and stakes, while Rita Banerjee led a workshop on narrative development. We also live blogged this trip, so you can see all the exciting things we did on this trip, such as seeing Poeta in Nueva York and shopping for fans. We hosted a Brooklyn Bookend Reading at Muchmore’s during The Brooklyn Book Festival. Some of the writers had emerged onto the literary scene with a bang, while others had recently published their first or second books, and had received prestigious awards in the past. The event was moderated by Diana Norma Szokolyai and included writers Rita Banerjee, Jonah Kruvant, Brandon Lewis, Elizabeth Devlin, Lisa Marie Basile, Jessica Reidy, Gregory Crosby, Matty Marks, and Emily Smith. In November, we also hosted our annual Pre-Thanksgiving Writing & Yoga Cleanse. The two day event kicked off with yoga lessons from Elissa Lewis, followed by creative writing workshops and craft seminars from Jessica Reidy. Our Pre-Thanksgiving Writing & Yoga Cleanse was an opportunity for the participants to cleanse themselves mentally, spiritually, and creatively before the bustling holiday season. In 2015, we continued our work on CREDO Anthology of Manifestos & Sourcebook for Creative Writing. The collection will feature personal writer manifestos, essays on writing advice, and writing exercises to help spur creativity. Our staff has greatly enjoyed critiquing and conversing with writers on this publication, and more information about publication will be announced in the upcoming year. In 2015, we welcomed our second round of interns to the Cambridge Writers’ Workshop, and these interns include the wonderful Emily Smith, Casey Lynch, and Alyssa Goldstein, all of whom have helped the CWW greatly this year. They’ve helped manage our social media and written up posts about our events, shown their talent for graphic design and corresponding with writers and hosts in French, Spanish, and English, and have provided much valuable assistance on our retreats and literary events this year. We’re excited to have Emily, Casey, and Alyssa, on our team, and we can’t wait to show you what they’ve helped us plan for 2016! This was also a good year for our individual staff members getting published. CWW co-director Rita Banerjee had her poetry published in Quail Bell Magazine, Riot Grrrl Magazine, and The Monarch Review. Her interview with CWW visiting professor and Guggenheim Fellowship recipient David Shields was published in Electric Literature. CWW co-director Diana Norma Szokolyai reported for VIDA: Women in Literary Arts on”The Defensive Male Writer.” CWW Executive Board Member Jessica Reidy‘s “Why the Pyres are Unlit” was released in Drunken Boat’s Romani Folio and her poetry was nominated by The Poetry Blog for “Best of the Net.” Managing Intern Alex Carrigan had his work published in Strike! and Quail Bell Magazine and Managing Intern Emily Smith became a Contributing Blogger for Ploughshares. While 2015 proved to be a very exciting year for all of us, our staff is quite ready to move on to our next round of exciting events. The CWW will once again table at AWP in Los Angeles from March 30-April 2, 2016, and will be announcing our AWP Reading in downtown Los Angeles shortly! Join us April 21-24, 2016 for our second annual Spring in Newport, Rhode Island Writing Retreat. Our Newport retreat offers the opportunity for writers of all genres and levels to work alongside award-winning authors & editors to hone their craft and expand their writing skills, while working on new or existing projects. In the past, faculty has included internationally renowned author and writing coach Kathleen Spivack, Stephen Aubrey, Diana Norma Szokolyai, Rita Banerjee, and Elissa Lewis. The Cambridge Writers’ Workshop Summer in Narbonne & Barcelona Writing Retreat will take place July 18-26, 2016. The retreat offers participating writers of all genres and levels to work alongside award-winning authors and editors. Participating writers will hone their craft and expand their writing skills, while working on new or existing projects. There will also be time to explore the city of Barcelona, Spain and the beaches of Narbonne, France. Our past France retreats have included David Shields, Diana Norma Szokolyai, Rita Banerjee, Jessica Reidy, and Elissa Lewis as faculty members. And from July 28-August 5, 2016, join the Cambridge Writers’ Workshop on our summer writing retreat to the cultural oasis of Granada, Spain. Located at the foot of the Sierra Nevada mountains in Andalucía, Granada is one of the gems of Spain and has inspired writers from Washington Irving to Salman Rushdie to Ali Smith. Let the old city stimulate your writing with its winding streets, Moorish history, and evocative landscapes. Or, indulge in delicious Andalucían cuisine and traditional Arab baths. Work with world-renowned authors on your manuscript, or look to the beauty and warmth of Granada to inspire all-new projects. In our past Granada retreat, faculty has included Peter Orner, Rita Banerjee, Diana Norma Szokolyai, and Elissa Lewis. We hope you are all as excited for our 2016 events as we are. Information on our upcoming 2016 retreats and readings will be going live in January 2016! If you have any questions we may not have answered, you can email us at info@cambridgewritersworkshop.org, and for inquiries, please email the CWW Directors, Rita Banerjee and Diana Norma Szokolyai, at directors@cambridgewritersworkshop.org. You can also follow us on Facebook, Tumblr, and Twitter for more information and updates on any of these events. We look forward to making 2016 a year full of creativity, writing, and renewal, so join us as we make 2016 rock!